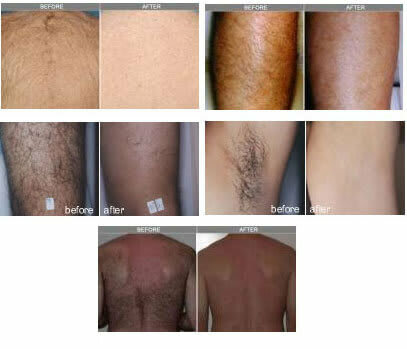 Skin Vitality Medical Clinic is proud to offer a virtually painless approach to laser hair removal. Soprano XL Laser Hair Removal by Alma is one of the top technologies in the world for providing safe, comfortable, effective, and long lasting hair removal. Soprano®’s innovative technology is effective for all ages and skin type. Soprano uses pulses of infrared diode laser energy to gradually heat the hair follicles in the subdermal layer of skin until eventually, the hair can no longer grow. With the combination of IN-Motion™ technology and a patented Dual Chill™ treatment tip, the surface of your skin remains cool throughout the treatment. The beginning of any procedure starts with finding the right clinic for your needs. Before getting ready for the treatment itself, start off by asking friends, family or your doctor for recommendations. Once you’ve picked out a few good candidates, take the time to head over to the practice for a consultation that should be performed in complete privacy. Consultations are usually mandatory prior to treatment because it is considered a medical procedure. You may be charged for a consultation or, like at Skin Vitality, it may be free of charge. You’ll be able to get a better look into the reputability of the clinic and staff that will tend to your treatment. Don’t be shy in asking about our history and in introducing yourself to the doctor, nurse or technician that will be performing your hair removal. You’ll get the answers your looking for about the procedure. We will offer to show you exactly where they perform the treatment. They’ll also talk to you about the laser hair removal machine. Laser hair removal isn’t painful or particularly complicated but there are still a few general rules to follow in the time leading up to your appointment. Patients that make use of a clinic’s instructions are able to guarantee that they receive the best treatment results and minimize the risk of any side effects. The most important advice, sure to be mentioned by your chosen clinic, is not to tan. Tanning is a form of damage to the skin, and you don’t want to do this before your treatment because it can increase the risk of negative side effects occuring. Tanning can also decrease the effectiveness of laser systems that depend on a patient’s natural skin and hair colour to work at their best. Usually you will be instructed to cease tanning (this includes natural and artificial tanning as well as the use of creams or sprays) before your procedure. Before treatment, any makeup, lotions or deodorants should be removed as well. While these tips are standard in Laser hair removal procedures, always make sure to follow the specific guidelines laid out for you by your practitioner. When you arrive at Skin Vitality, a staff member will guide you to the treatment area and your procedure will begin shortly thereafter. We will provide you with protective eyewear then ask you to bare the area where hair is to be removed (it’s a good idea to wear loose fitting or easy-to-remove clothing for this reason). The treatment itself is quick and almost entirely painless. Some practices will choose to apply a topical anaesthetic but, in the majority of cases, no painkillers are necessary. Our modern laser technology incorporates cooling systems that help to minimize discomfort while also ensuring that the skin tissue surrounding the treatment area is unharmed. Therefore you won’t feel much discomfort. At most, you’ll feel a gentle heating of the area. After the treatment is finished patients can expect to notice mild swelling, redness and a sensation that resembles a sunburn affecting the area where the laser was targeted. This is normal and begins to subside almost immediately. Swelling usually vanishes within about two hours with redness and discomfort subsiding after two or three days (much like the average sunburn). Most practices will recommend that patients apply ice (every 15 to 20 minutes) or a provided post-laser lotion or ointment in the hours following treatment in order to minimize these side effects. To ensure that your laser hair removal treatment is effective it’s important to take a few additional steps after the procedure. Sun exposure should be kept at the bare minimum until skin tone returns to normal and physical irritants (like scrubbing, scratching or performing additional hair removal) need to be avoided as well. Makeup can usually be applied right after treatment is finished although, in some cases, your practitioner may advise against using any topical products for a period of time after hair removal. Skin should return to a normal look and feel within a few days and results will become noticeable somewhere between five to twenty days after the appointment, however this depends on how many treatments have been performed up to that date. In some instances, there may be no apparent change after the very first procedure, but this isn’t a concern – repeated Laser hair removal treatments will achieve results. Many patients may be alarmed by what appears to be new hair growth at this time but this is actually surface hair shedding and is a natural part of the removal process. Follow-up treatments are necessary in order to achieve full hair removal so be sure not to get discouraged with your initial results. Ingrown hair, otherwise known as also known as Pseudofolliculitis barbae (or PFB), is a condition that usually manifests as small and slightly raised reddish bumps surrounding hair follicles. Minor cases of ingrown hair often resembles (and feels like) razor burn but, when left untended, can become complicated and painful. Ingrown hairs can become infected, leading to substantial discomfort and the development of unsightly cysts. The condition usually occurs when a hair (that has recently been shaved, waxed or plucked) grows back improperly. Often the hair gets trapped inside the follicle, curling into itself, or grows into the skin surrounding the follicle. When this happens the trapped hair causes skin irritation that can range from minor inflammation to moderate acne or severe infection. Aside from the inconvenience of the condition, people that chronically suffer from ingrown hair often have to treat isolated incidents through antibiotics and topical solutions. Can Laser Hair Removal Remove Ingrown Hairs? Yes! A common use of laser hair removal systems is the treatment and prevention of ingrown hairs anywhere on a patient’s face or body. Laser technology uses a specialized method for breaking down the growth of all hair and the effects of this work to effectively combat ingrown hair as well. Common hair removal methods (like shaving, waxing and plucking) are carried out by breaking the hair shaft on a superficial level (at the surface of the skin or just below it) and this can actually lead to more ingrown hair. Laser hair removal stops hair growth by halting it at the follicle root itself, permanently damaging the follicles ability to produce new hairs. Lasers are able to stop the development of ingrown hair by addressing the problem at its source, stopping hair from growing before it has a chance to become trapped in the skin or follicle. It also works to address existing ingrown hairs in a similar way, offering patients a comprehensive solution to the problem. After only a few sessions of laser treatment, patients are able to put a stop to ingrown hairs forever and are free to live their lives without worrying about having to suffer through any further pain or embarrassment. 1. Who is a candidate for laser hair removal? Men and women of any age looking to rid themselves of unwanted hair! The Soprano® system can safely and effectively remove hair from virtually anywhere on the face and body. The Soprano can treat all skin types, hair types and most hair colours. Hair reduction is gradual, most patient’s start to see reduction after one session. The number of treatments varies on the area being treated. The treatment itself is very comfortable and usually takes less than an hour. 3. Is Soprano® laser hair removal safe? Your safety is our number one priority. Soprano® has been FDA and Health Canada approved since 2005. It is used worldwide and has safely and effectively treated millions of patients. 4. Will my hair grow back? Once the hair follicle is permanently damaged, new hair cannot grow. During the process, some of these follicles may be only partially damaged and will need to be retreated. The time leading up to treatment is where patients are able to make the biggest difference in the success of their laser hair removal treatment. Just the same, everyone is likely to feel a bit nervous as they head in for their appointment and knowing exactly what to expect helps to ward off any unnecessary jitters. There are a number of variables that can affect the success of treatment series. Generally; after each treatment, you’ll see a noticeable reduction in the number of hairs that regrow in the treatment area. On average 6-10 treatments for best results. Testimonials from our patients prove that the treatment is extremely effective in achieving the aesthetic improvement desired. 6. Can laser hair removal remove ingrown hair? Ingrown hairs can occur at any time, causing embarrassment and even severe pain to those that suffer from them. Luckily there are treatments available that can stop the development of this common problem by addressing it at its source: Laser hair removal.